Until our adoption comes through, I'm not quite sure how to answer the question, "How many children do you have?" 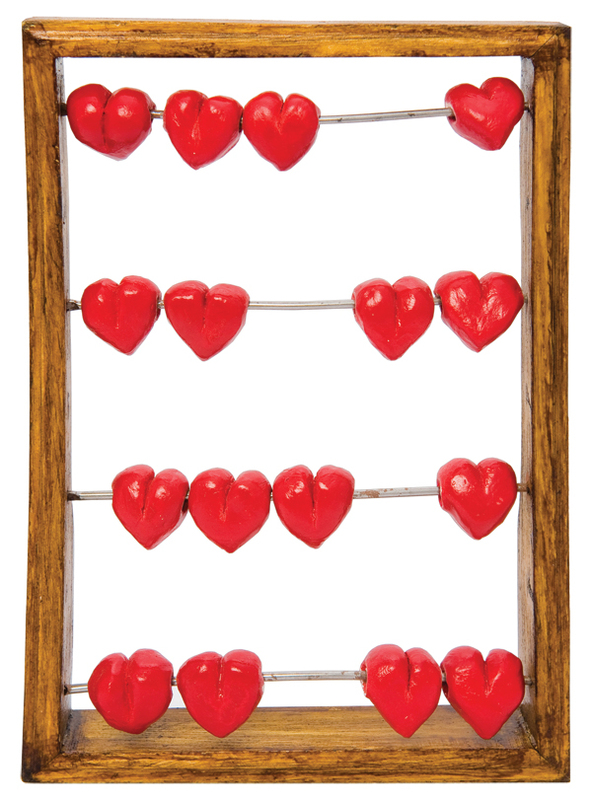 One of the little-known facets of adoption is the counting phenomenon. You may count regardless of the route you’re following: domestic, foster, or international. Having formed a large family through birth and domestic and international adoption, however, I would say that international counting is the trickiest. You count everything, and, no, it’s not just us compulsive, controlling types. You count the paper chase (and each step within it). You count the months from dossier landing and anticipating a referral. Once you get the referral, you count the weeks until court, the weeks until a travel date is set, the days until takeoff. Then you count the days you are in-country. I also count eight hours ahead each day, to account for my daughter’s time zone, just to think about what she might be doing at that moment. Of course, if you are an unnaturally laid-back person, or detached in the spiritual sense, perhaps you don’t count. You live in the moment. Good for you. I’m not so holy. I count. Recently, as I was running errands one late afternoon, I noticed another kind of counting rattling in my brain. I was counting kids. I am often asked how many children I have. This usually happens when I show up at the supermarket checkout, my shopping cart piled high, or when my husband, Tom, and I have all the kids, big and small, in tow. On this day, I was shopping for stocking stuffers, and buying in bulk, when I thought, well, how do you respond to that question when you are in process limbo? I could just say I have seven children. Count the bouncy balls rolling around in my cart: seven. Because, while on this side of the world, we’ve been given the OK and it’s nearly a formality that Marta is our daughter, on the other side, in Ethiopia, it is not yet a done deal. Until the adoption is official, according to her country’s legal process, I’m not sure that I can baldly say, “I have eight children.” I don’t want to overstate. There have been a few times when I did say eight, but then I always felt a need to clarify. “We are waiting for the court approval, so we can go get her…bring her home.” Eight seems…not quite there. Seven, meanwhile, says that I am short-shrifting Marta, so far away. Maybe I can’t claim my daughter until the court says she is ours, but Marta is already a part of the fabric of me and us. I have claimed her in my heart and head. I have fought for her. I have prayed for her. Over time, I have found that the way for me to get through the long haul of the adoption process is to celebrate, mark, and be happy for each step taken. Checking one day off our countdown means we’re one step closer to our daughter. We need every step we can get in this marathon! So, yes, I count eight. And if something unthinkable should happen, I will still have eight children, I will just be torn from one. Once the wait is over, we will bring her home and she will begin to claim us, too. And we’ll start a new count together. A different counting, forward and infinite, to mark the beginning of a new weave in our family. And that day in the store? I bought Marta a bouncy ball, just because. I counted. While I was waiting to be matched, I tried to ..
As we marched through the approval process, my nerve was ..